When the summer sun starts to burn in the afternoon and the temperatures climb higher every day, enjoying a nice cigar is generally not the first thing that comes to mind. Hot weather and hot smoke can make things uncomfortable, but don’t worry. We are here to provide some tips on keeping things cool this summer so you don’t have to put the humidor away until autumn. 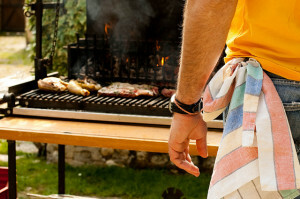 Fresh Eats – This might seem obvious, but keeping any barbeques or summer picnics light on food fare is a good way to go. While you likely won’t be smoking while eating, consuming good flavors before a nice, relaxing smoke can make the heat a little less intense. Try a cold gazpacho, olives, and smoked fish for a lighter meal that will work with most tobacco flavors. Or, if you opt for burgers, steak, and barbeque on the grill, be sure that you pair it with a robust cigar afterward. Much like a heavy meal needs a full-bodied wine, a strong-flavored cigar is a must after a big meal. 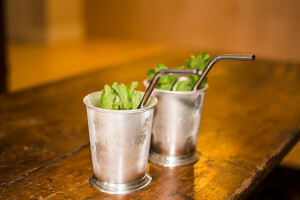 Mint Julep – A summer classic that brings cooled bourbon to the table with fresh mint. 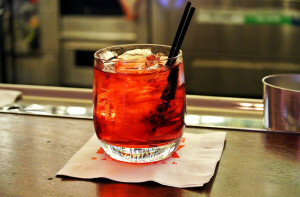 Negroni – A longtime favorite to pair with cigars, a negroni offers some cool gin with a twist of orange. 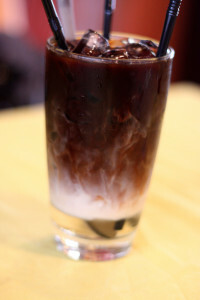 Iced Coffee – Opt for a strong concentrate over lots of ice with a dash of cinnamon or vanilla. 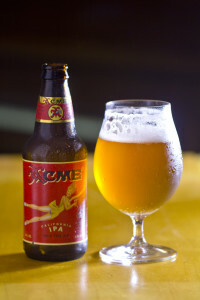 IPA (India Pale Ale) – the bitter hops can withstand most any strong cigar and complement the tobacco flavor well. Of course, if none of this is working and the hot sun won’t relent, you can always embrace it with a lawn chair under a tree and a nice fan pointed at your legs. After all, some of the best cigars come from places that are hot and humid year round, so enjoy that cigar this summer and be ready to make a breeze if Mother Nature won’t supply one.